What If Real Life Was *Censored* Like Movies? This Is SO Funny! You know how movies in India are censored, right?! Have you ever wondered what would happen if our conversations were also censored like the movies? Like you’re trying to abuse, but what comes out is just a *beep*. And you’re trying to decide which bra you should wear, but you can’t see any bras because they’re pixelated? Ever imagined that? 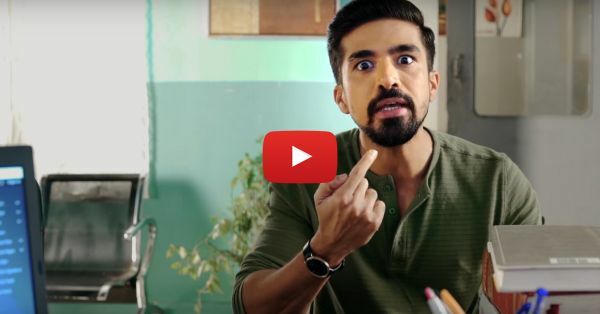 Well, we don’t know about you, but Dice Media did and made a video about it featuring Saqib Saleem. This video is just hilarious and it perfectly describes what’s wrong with the censorship these days. It’ll make you laugh and go ‘so true’ at the same time. So get ready for a good dose of laughter and hit that play button!